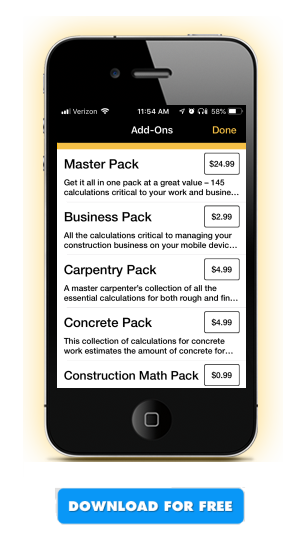 Get it all in one pack at a great value - 145 calculations critical to your work and business for $24.95 (a $47 value). 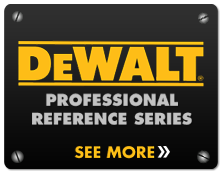 Ideal for the general contractor or handyman, this collection features a wide range of calculations: business, carpentry, concrete, construction math, electrical, finish materials, landscaping, site work, and trim carpentry. 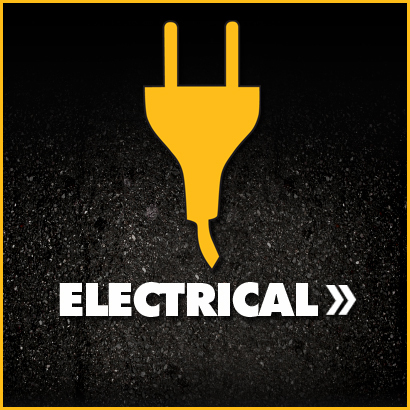 No matter the job, you'll have what you need at your fingertips. 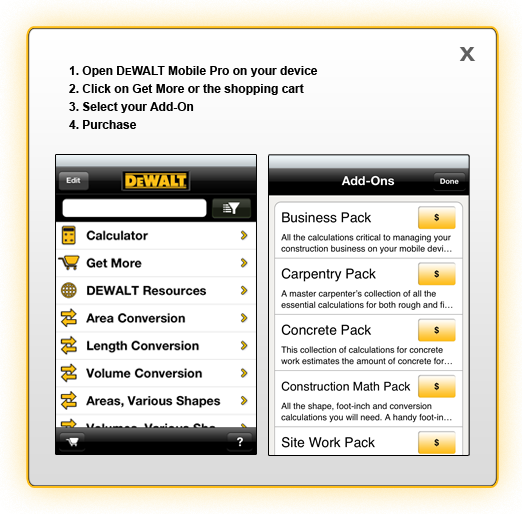 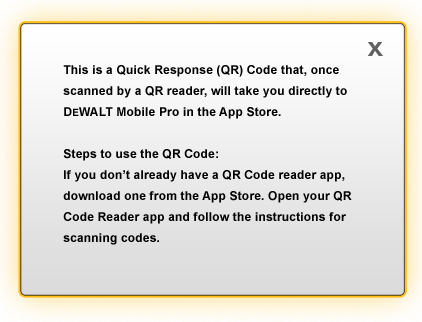 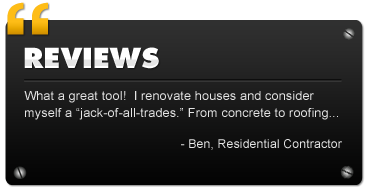 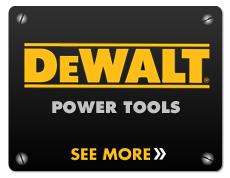 ALREADY HAVE DEWALT® MOBILE PRO™?